Surprised Redhead Girl In Red Polka Dot Dress With Green Dial Phone On Yellow Background. Фотография, картинки, изображения и сток-фотография без роялти. Image 40455104. Фото со стока - Surprised redhead girl in red polka dot dress with green dial phone on yellow background. 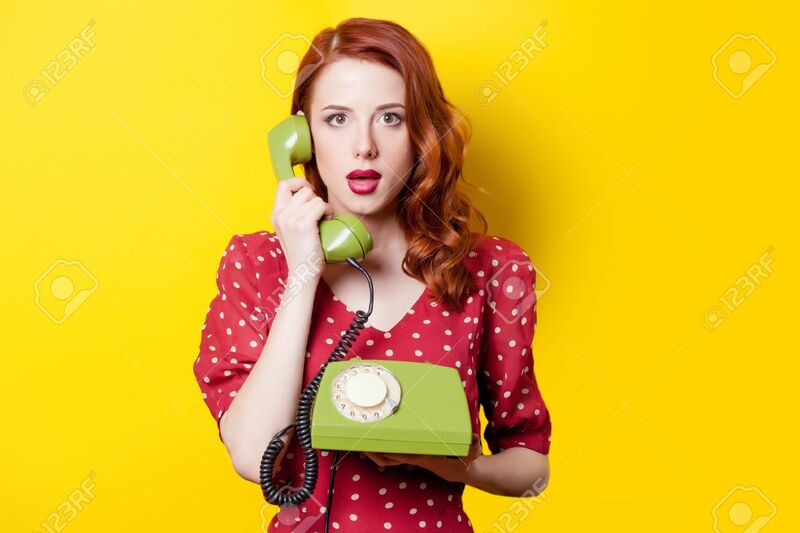 Surprised redhead girl in red polka dot dress with green dial phone on yellow background.